Since 1950 more than half of Indonesia's rainforests have been destroyed. Every year deforestation contributes enormous amounts of greenhouse gases into the atmosphere making the country the third largest polluter in the world. 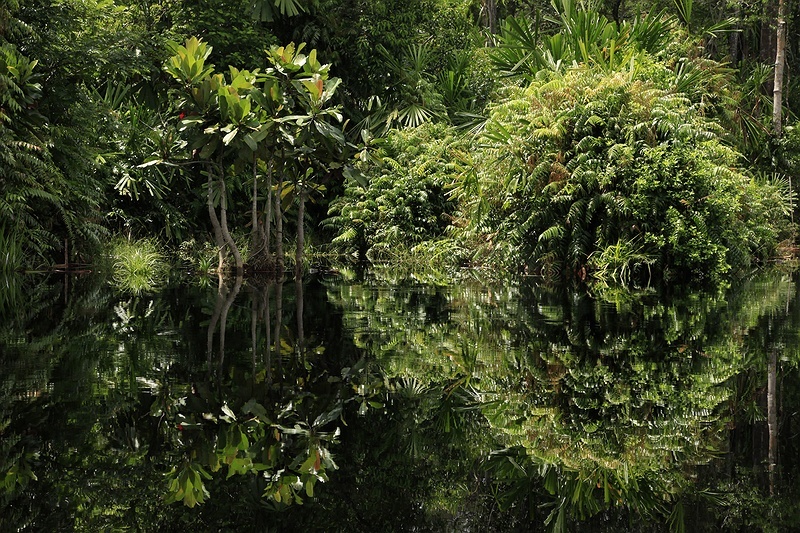 Peatland rainforest hosts one of the world's richest ranges of biodiversity. Now over 140 species of mammals are identified as threatened, with 15 of them including the Sumatran orang utan critically endangered. Within a lifetime the forests of this archipelago are in critical condition. Indonesia has 6 million hectares of palm oil plantations, feeding demand from a world market seemingly unworried about it's sources. Palm oil is found in a vast range of products from chocolate bars to cosmetics, but is difficult for even the most conscientious of consumers to spot as labels often simply state vegetable oil. The ground bed of peatland rainforest is composed of a braided root system formed over thousands of years. The layers can sometimes be up to 15 metres deep and represent one of earth's largest carbon stores, making deforestation one of the dirtiest businesses on the planet. According to Indonesian law it is forbidden to clear rainforest with peat layers deeper than 3 metres, but even if the depth is relatively easy to measure it is poorly monitored and corruption is rife. Despite the fast-paced deforestation, the Indonesian rainforests are still among the most extensive in the world, representing one tenth of the world's forests. With more than 1,000 different bird and mammal species, the Indonesian rainforests are one of the most diverse terrestrial ecosystems. Exactly how much peatland forest is cleared each year is uncertain. Different definitions of deforestation and illegal logging are two reasons for this. Some consider an area deforested only when it is completely converted to agriculture, urban areas or desert. If palm oil or acacia are planted, they still can be counted as forest despite the fact that all diversity in the ecosystem has been lost. Plantations of a single species have far less biodiversity than natural forests. Walking through acacia and palm plantations is ghostly quiet with none of the usual characteristics of rainforest. The transformation of intact peatland rainforest into plantations produces high short-term monetary profits for a few, but leaves the land exposed to erosion and risk of desertification.